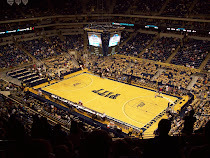 Some ESPN encyclopedia fails to rank Pitt's basketball program in the top ten in the 2000s. Now I'm not going to debate the top 25 of all-time list (in which UCLA isn't even #1, Duke is somehow 47 spots above UCONN and Pitt ranks 60th behind powerhouses such as Nebraska and Iowa State), which is nonsense in itself. And I'm certainly not going to debate teams that have won chapmionships this decade that are in the top ten - UNC, Michigan State, Duke, UCONN, Kansas and Florida. 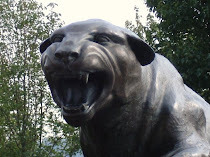 But I WILL say that over the past nine years, Pitt matches up very favorably against the other teams ranked that have not won titles - Kentucky, Illinois, Arizona, and Texas. The latter three all made at least one Final Four, but if that's the measuring stick, then how does UCLA (who made at least two if my memory serves me correct) get left out? Pitt somehow is still managing to land QB recruits - the latest is a fairly low-rated one - Mark Myers out of Cleveland. It will be interesting to see how this plays out. Next year, Pitt will have five QBs (Bostick, Sunseri, Gray, Gonzalez, and Myers) who all have at least two years of eligibility. Bostick will have two and the other four will have at least three. I'm thinking someone is in for a position change...shhhh, don't tell them that. Joe Starkey of the Trib has an excellent article on Chris Taft and his life after injury. Glad to hear he's doing well. It's hard to fault his logic for coming out early, but there's no way he was ready. Bill Stull's performance of 242 yards passing with 3 TDs nets him Conference Offensive Player of the Week honors. Jamie Dixon deals with yet another loss of a family memberand also holds the first-ever Basketball Fan-Fest and Maggie Dixon Heart Health Fair. With so many one-loss teams, a 4-1 start isn't enough to get Pitt more than a few votes in each poll. More spin about how the new Bowl Game at Yankee Stadium is a real coup for the Big East. Sure it is.